Members of the indigenous Ogiek community, who made the hours-long journey from their home in Kenya’s Rift Valley to a packed courtroom in Arusha, Tanzania, erupted into cheer when judges decided a longstanding case in favor of this beleaguered community that has endured evictions from their ancestral lands. On May 26, the African Court of Human and Peoples’ Rights, the continent’s highest institutional human rights body, unanimously ruled that the Kenyan government had violated the rights of the Ogiek people when it forced them from their land in the Mau Forest. This historic victory was made possible thanks to AJWS grantee Ogiek Peoples’ Development Programme (OPDP)—an organization that works to protect the culture and constitutional rights of the Ogiek people—which helped the Ogiek initiate this case eight years ago. 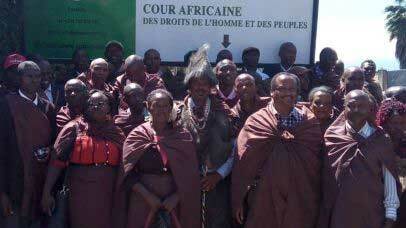 Members of the Ogiek community who attended the court ruling expressed their gratitude for AJWS’s invaluable support. “AJWS believed in us, supported us in our struggle and made it possible for us to go the ruling. We are happy knowing that we were heard thanks to AJWS,” they said in a shared message. We sat down for an interview with AJWS’s Senior Program Officer for Natural Resource Rights and Climate Justice Payal Patel to learn more about this victory and what it means. Sumit Galhotra: Payal, please tell us about the Ogiek people. Who are they and what challenges have they faced in Kenya? Payal Patel: For generations the Ogiek, an indigenous community of about 35,000 forest dwellers, have lived in Kenya’s Mau Forest, an area of vast importance that serves as a critical water catchment area from which several rivers flow. Not only are these rivers lifelines for much of western Kenya’s people and biodiversity, but the water from this forest quenches thirst far beyond Kenya. Its rivers feed Tanzania’s Serengeti and ensure the livelihood of thousands of Lake Victoria’s fishermen. When you consider that Lake Victoria is the source of the Nile, you’re able to grasp just how precious the Mau Forest is. The Mau is the source of the Ogiek’s traditional livelihood, where they hunt and gather but it is also synonymous with their cultural identity. This small community has suffered grave injustices, harassment and evictions in the name of forest conservation efforts at the hands of successive governments since independence in 1963. Yet, the government has awarded concessions over much of this land to timber and forest plantation companies, which have in turn been responsible for much of the deforestation that has occurred here over the decades. SG: Tell us a bit about this court case? PP: The Ogiek contended that the Kenyan government had on various occasions illegally evicted them from their ancestral lands in the Mau Forest without prior consultation, and so they filed a case in the African Court against the government. Eight years later, the court ruled that the Kenyan government had indeed forcibly evicted the Ogiek from the Mau Forest, and thereby violated the community’s land and cultural rights. 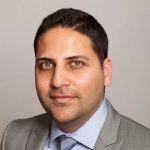 SG: What is the significance of this judgment? PP: The ruling marks a critical inflection point in the Ogiek’s long struggle for justice in their land rights and for recognition of their cultural identity. Notably, the court also recognized the Ogiek’s status as a distinct indigenous people—which the Kenyan government has until now not acknowledged—and upheld their right to live in the forest, as well as deemed that the Ogiek have the right to seek reparations from the government for the losses they have suffered. By enshrining the land and cultural rights of the Ogiek, the ruling sets an important legal precedent for how other governments in Africa have a duty to protect the natural resource rights of other indigenous peoples. No doubt, this edict offers a glimmer of hope to indigenous communities that have been fighting for their land rights in other parts of the continent and elsewhere in the world. SG: What role did AJWS grantee OPDP play? And how is AJWS part of this story? PP: Ogiek activists founded OPDP in 1999 to seek remedy for these historical land injustices and to empower the Ogiek to assert their economic, social and cultural rights. Over the years, OPDP has worked with the Ogiek community to educate them about their rights, to map their lands and document their indigenous knowledge, and to engage in advocacy with the government. OPDP has also pursued strategic litigation in Kenyan courts. It turned to the African Commission for Human and Peoples’ Rights in 2009 after the Kenyan government had issued a new eviction notice to the Ogiek. AJWS has been supporting OPDP since 2013. In addition to the core support we provide, we have also made additional grants to OPDP to enable members of the Ogiek community to attend and serve as witnesses in two hearings of the African Court, including the one on May 26 in Arusha, Tanzania. AJWS’s In-Country Consultant Gitahi Githuku also traveled to Arusha (taking a bus from Nairobi in the wee hours of the morning) to attend the hearing in solidarity with OPDP and the Ogiek people. OPDP has expressed their immense gratitude to Gitahi for having made this trip in support of their cause, and more generally for the tireless support he has provided to OPDP in advocacy spaces during his three years with AJWS. SG: While the Kenyan government says it has accepted the decision, how will it be acted upon? PP: As we know all too well regarding legal victories, this is of course not the end of the story. OPDP and the Ogiek community will continue to engage with and put pressure on the Kenyan government to meaningfully implement the African Court’s ruling (i.e. reparations to the Ogiek and a cessation of further evictions). In this effort, OPDP will likely continue to seek guidance from another one of our partners in Kenya, the Endorois Welfare Council, which has been working for more than seven years to ensure that the Kenyan government implement another historical judgment made by the African Commission in favor of the Endorois community’s land and cultural rights. And AJWS will continue supporting our grassroots partners to ensure this victory isn’t one on paper only, that it has tangible benefits for the vulnerable Ogiek in their everyday lives. 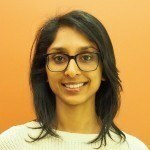 Payal Patel is the Senior Program Officer for Natural Resource Rights at AJWS.